The fall semester brings representatives from over 100 U.S. law schools to the 1604 campus. 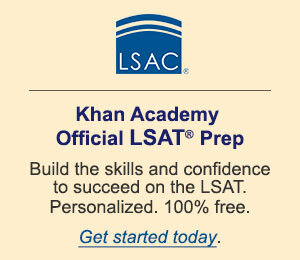 Welcomes students each June to an intensive program of classes, speakers, and LSAT preparation. The Institute for Law and Public Affairs supports UTSA students interested in pursuing careers in law through advising, internships, special events, and its hallmark, the Summer Law School Preparation Academy. Hundreds of students have graduated from the Summer Law School Preparation Academy since its inception in 2001, and in the years since the program began its alumni have gained admission to over 150 law schools in 44 states, the District of Columbia, Puerto Rico, and Europe. GSR 2.210 and welcomes students from all academic disciplines. You can also find us on Facebook and Twitter, and can join the pre-law mailing list by emailing ilpa@utsa.edu. Prelaw Advising is available by appointment. Contact us at ilpa@utsa.edu or (210) 458 2992. We are looking forward to assisting you. Save the Date! Law School Fair is coming to UTSA October 2, 2019, from 10:00 am to 1:00 pm. Come to meet Law School Representatives from all Texas Law Schools and many others from across the country. Get answers to all your admissions, financial aid, and scholarship questions. It is free and open to all. Applications are now being accepted for the 2019 Summer Law School Preparation Academy. Hone your analytical reasoning, logic, and writing skills needed for law school and earn up to-12 credit hours that count towards your GPA. Decide if law school is for you! Dates for Summer I Session are May 28-July 3, and Summer II are July 5 - August 10. Priority application deadline is March 8 and regular application deadline is April 15. Find more information at ilpa@utsa.edu; (210) 458 2990; or GSR 2.210. 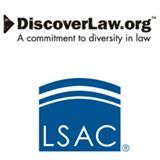 The Law School Admission Council developed the DiscoverLaw.org campaign to encourage racially and ethnically diverse students to discover career opportunities in law and choose a path in undergraduate school to help them succeed. Learn more at http://www.discoverlaw.org/. The Association of Legal Professionals, offers a number of resources to help prelaw students in the U.S. to learn more about the legal employment market. Click here to visit their prelaw portal (http://www.nalp.org/prelaw_portal). Texas Appleseed Diversity Scholars program provides assistance with LSAT preparation and mentoring opportunities for minority residents of Texas underrepresented in law schools. Click here to learn more.